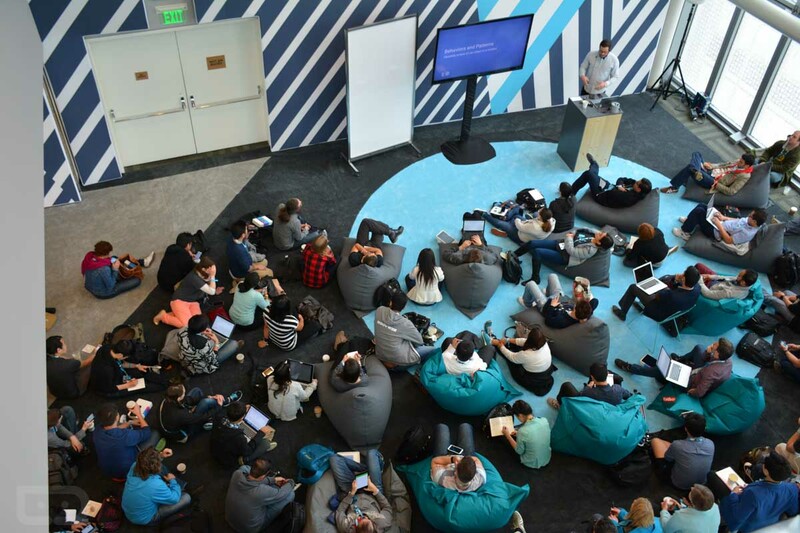 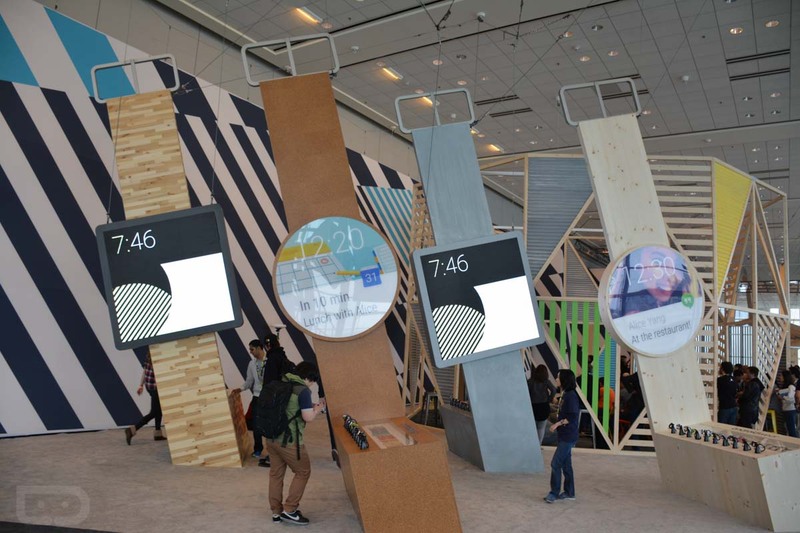 Yesterday, you all sat through Google’s 2.5 hour long keynote to get Google I/O 2015 started. 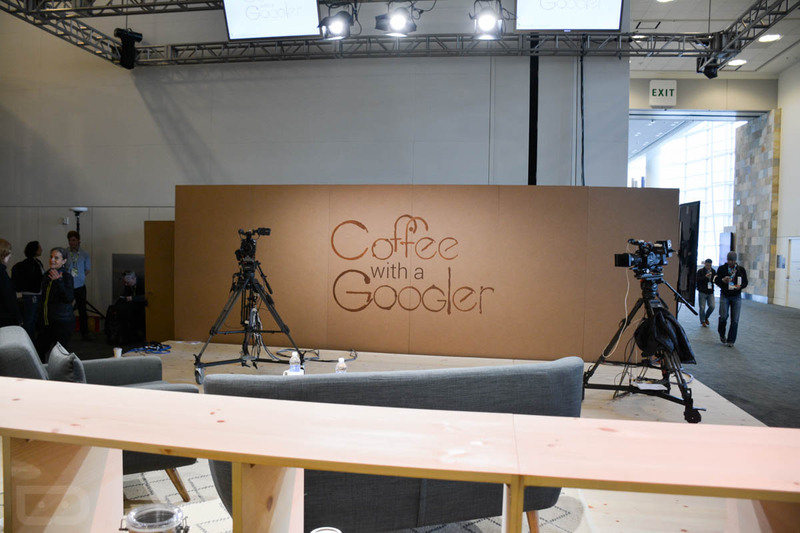 If you aren’t attending in person, though, that may be all you were able to see from Google’s yearly developer conference. 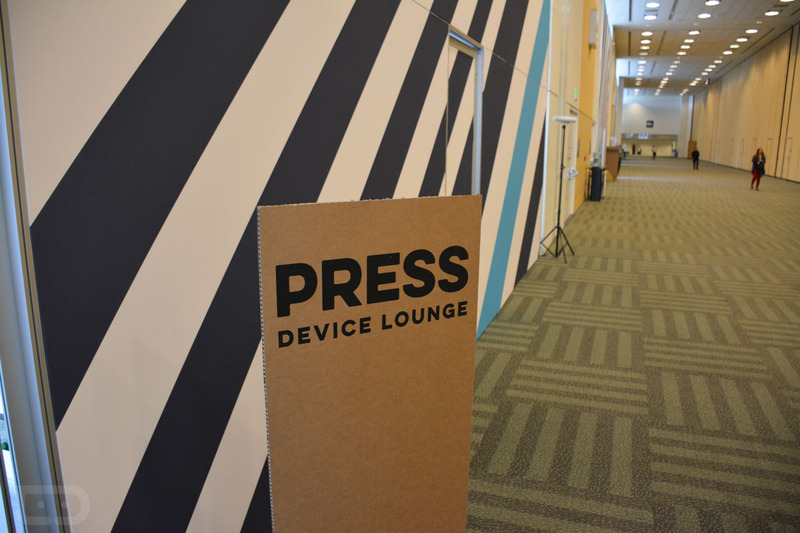 Well, unless you tune into a live-streamed session here or there. 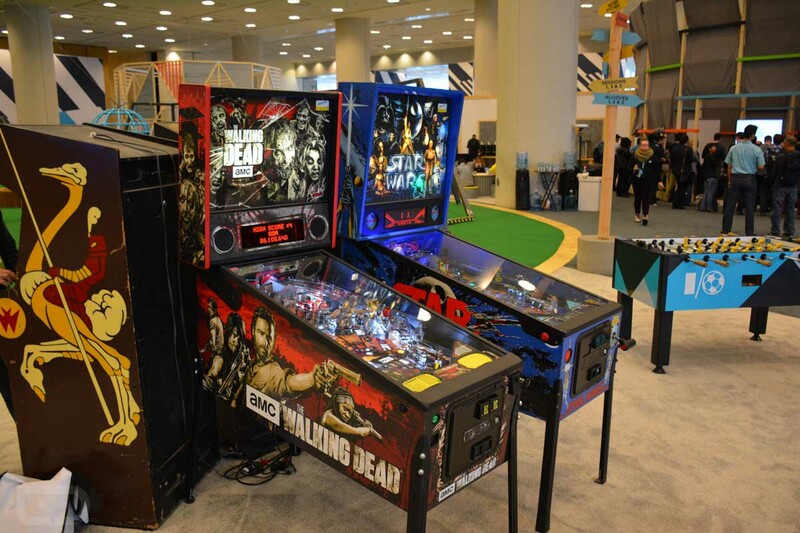 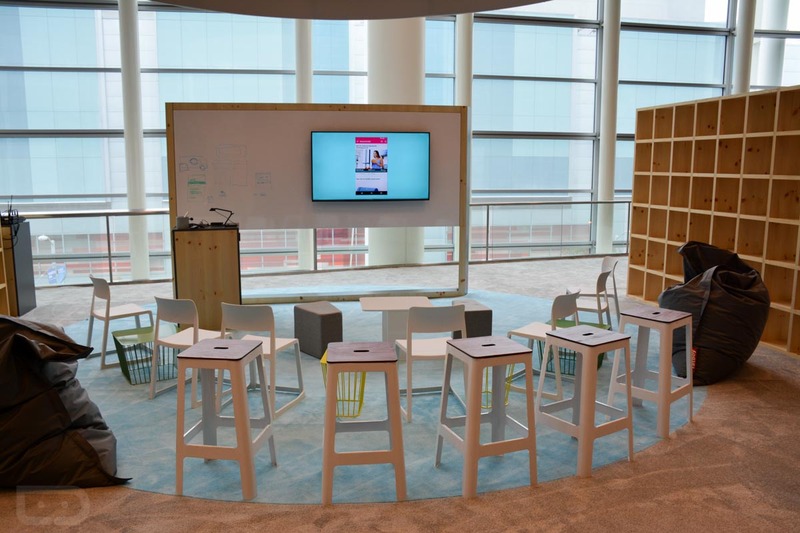 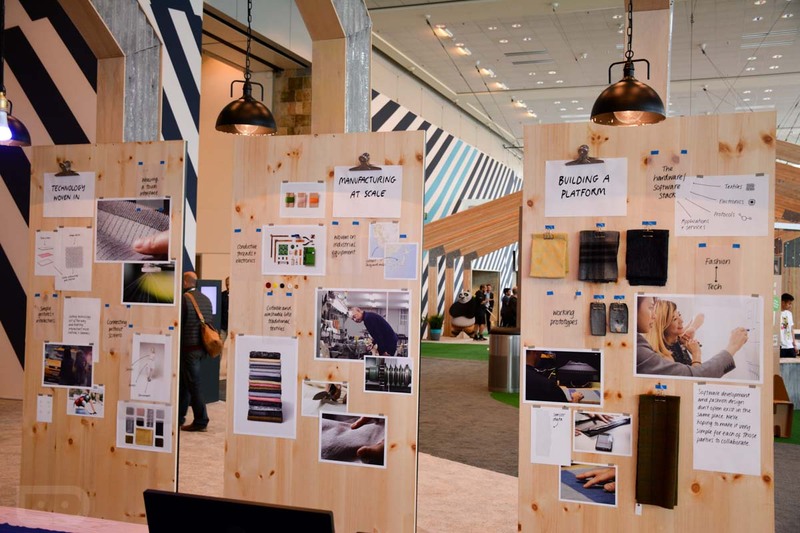 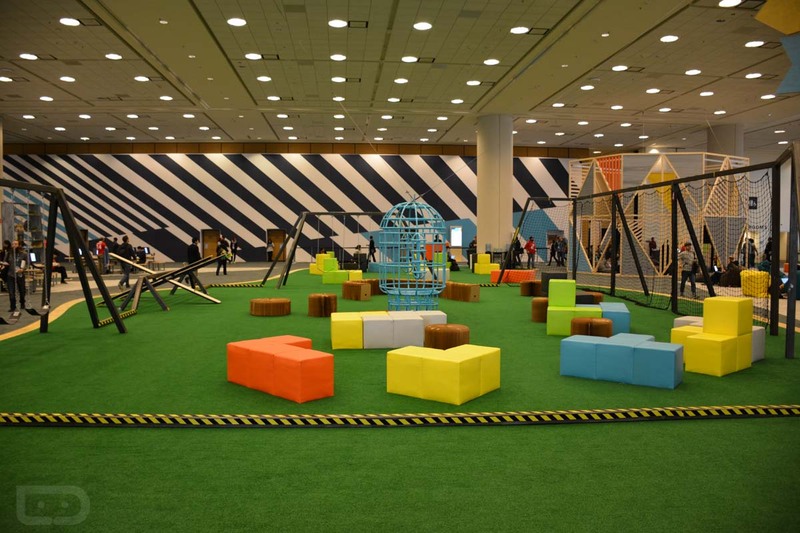 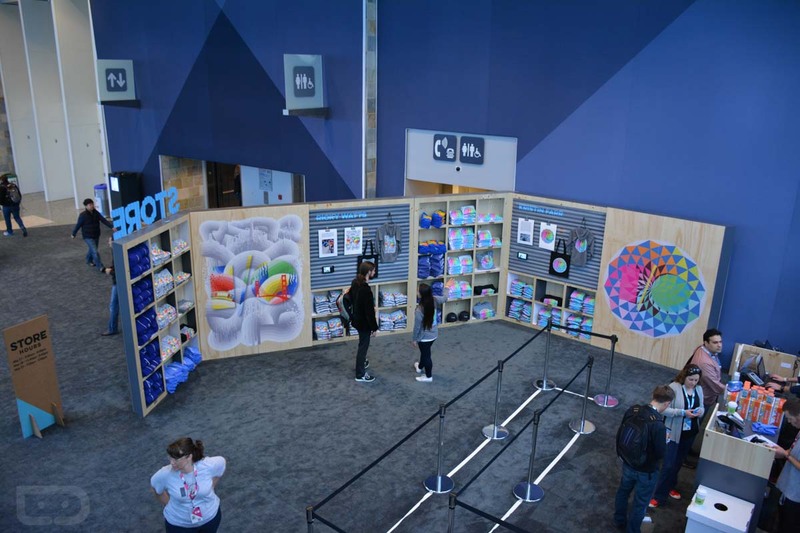 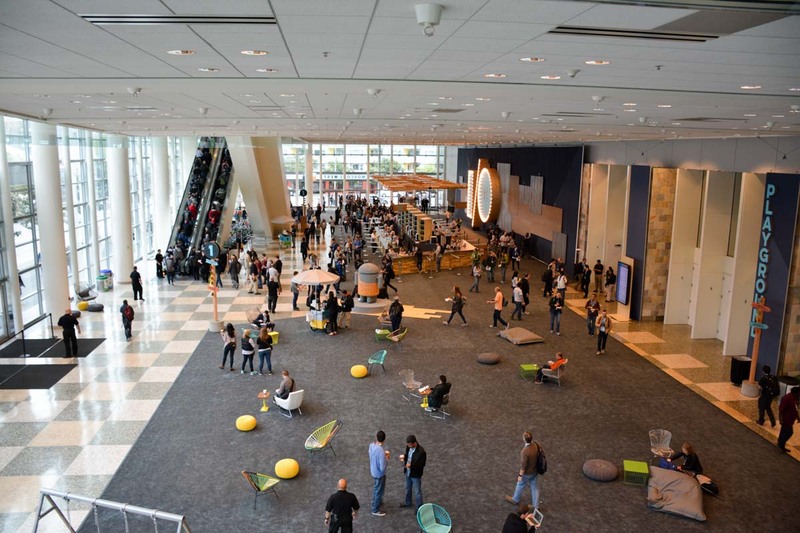 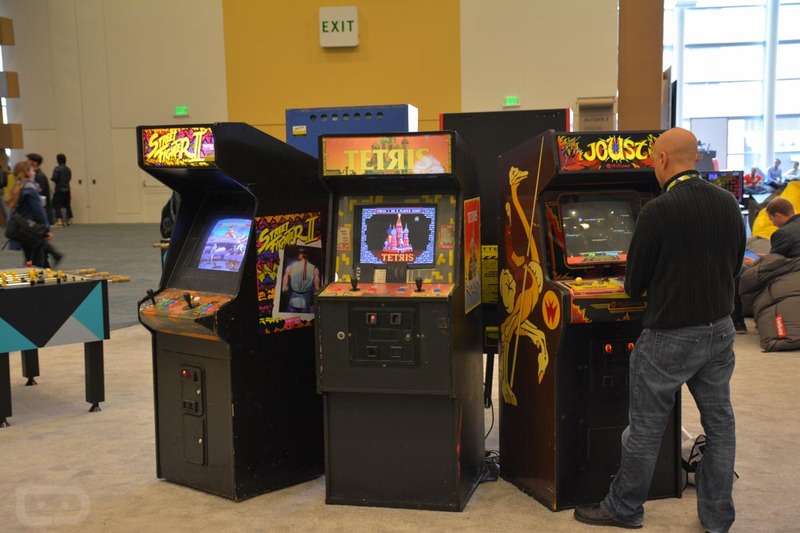 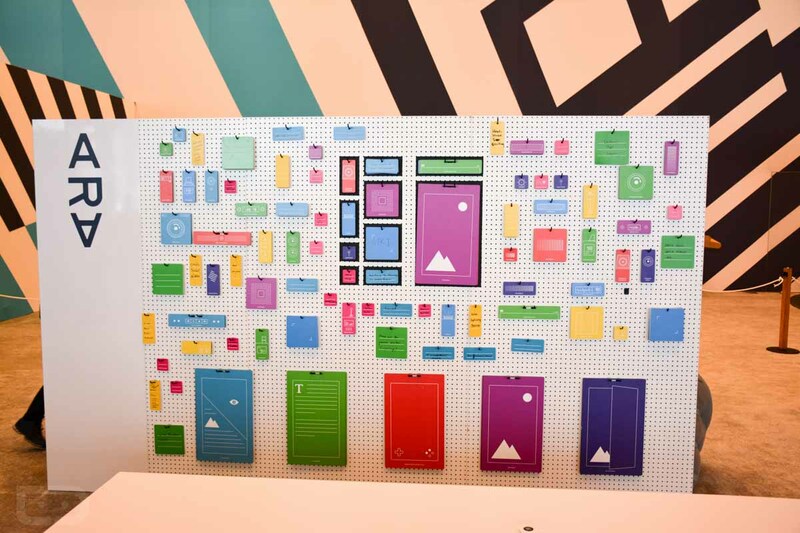 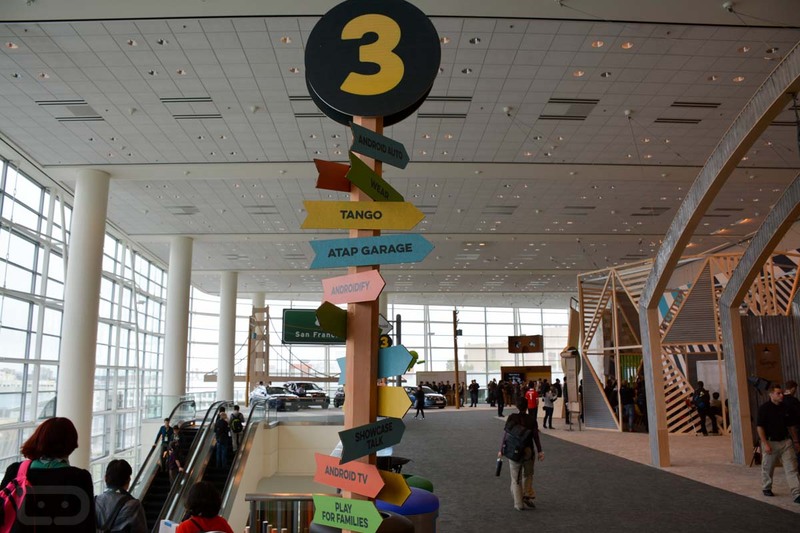 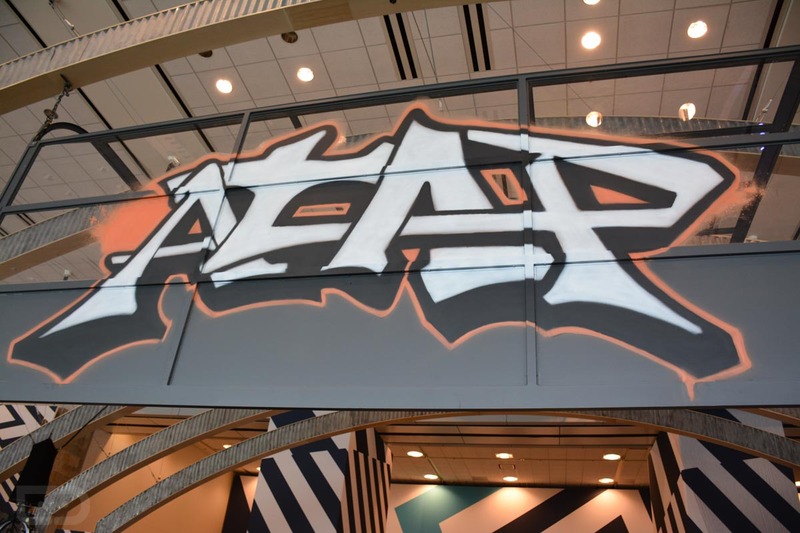 To hopefully give you a little bit of a glimpse into the whole experience outside of the keynote and a session, we walked the floor and snapped a bunch of pictures of all the creative things floating about. 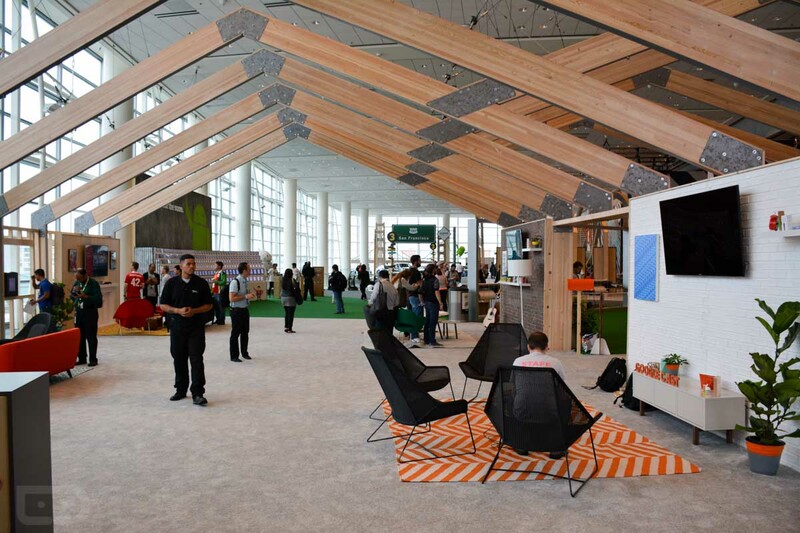 Google always does pretty creative things with the designs for its floor sets, and this year is no exception. 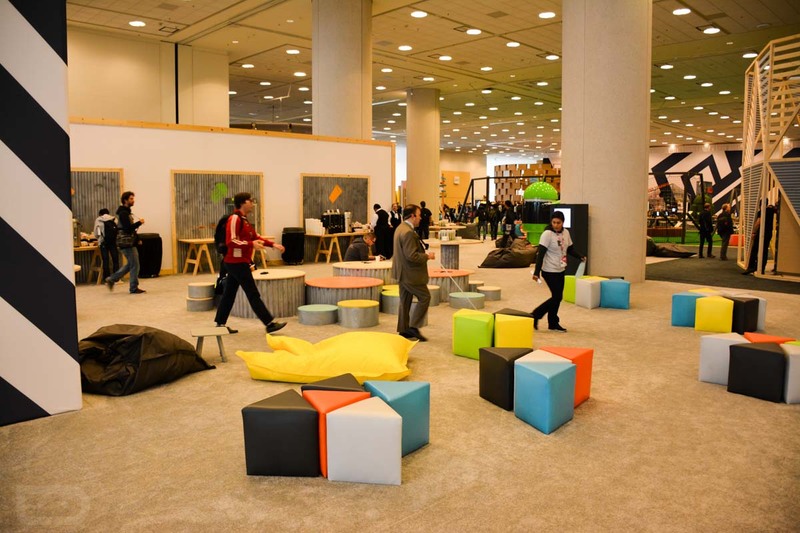 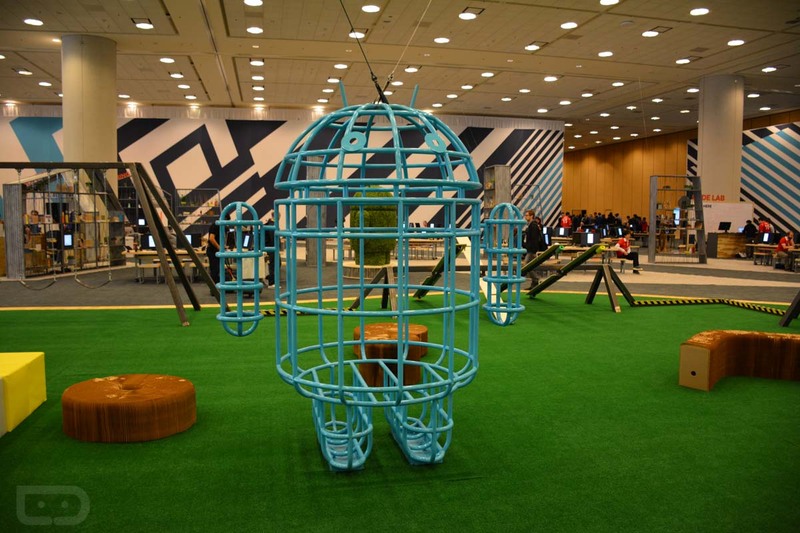 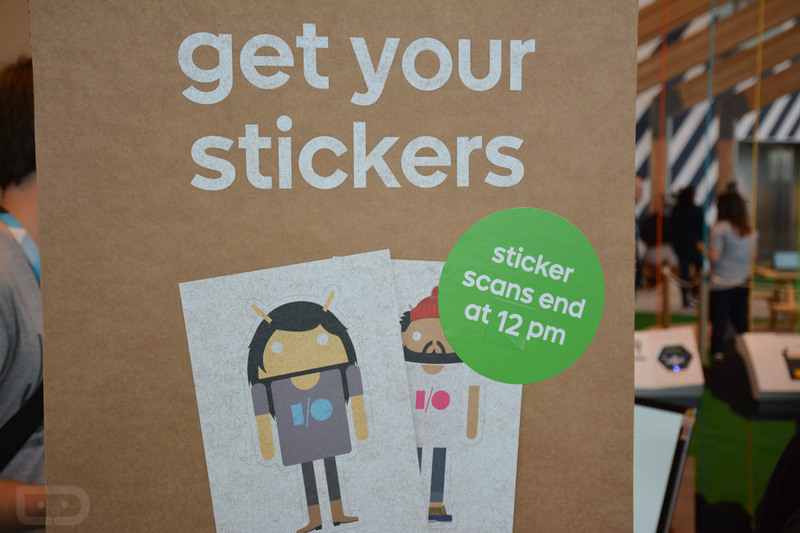 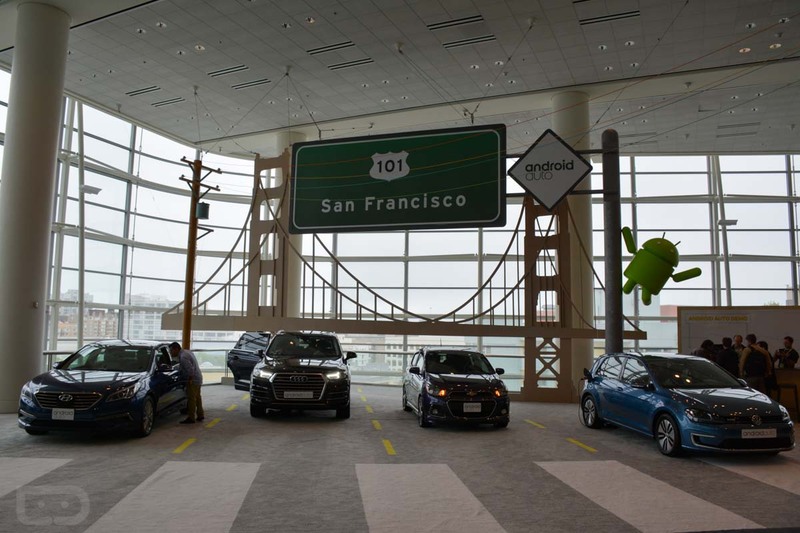 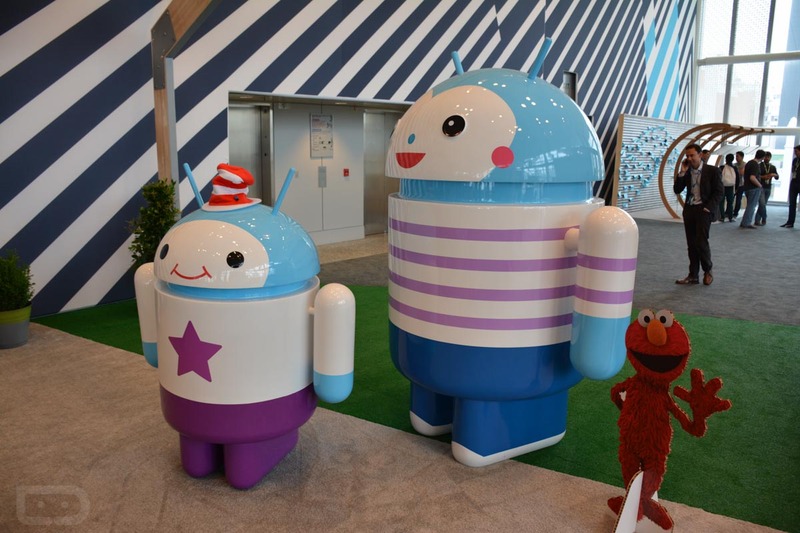 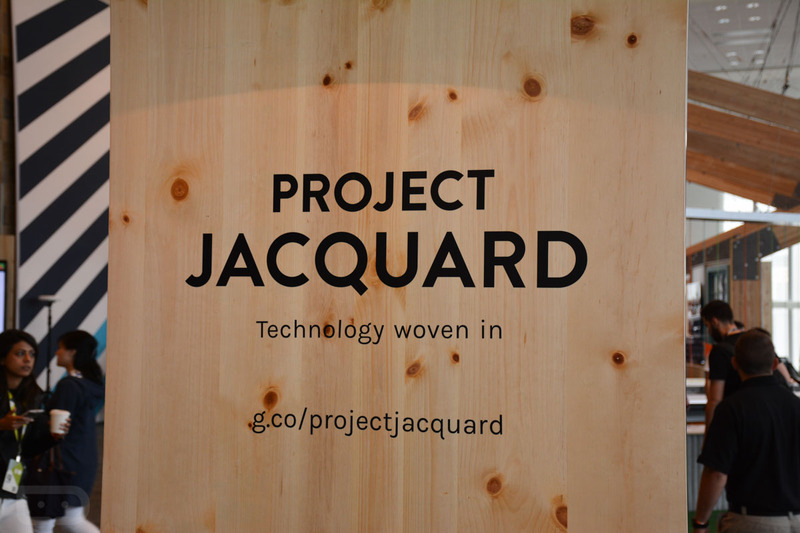 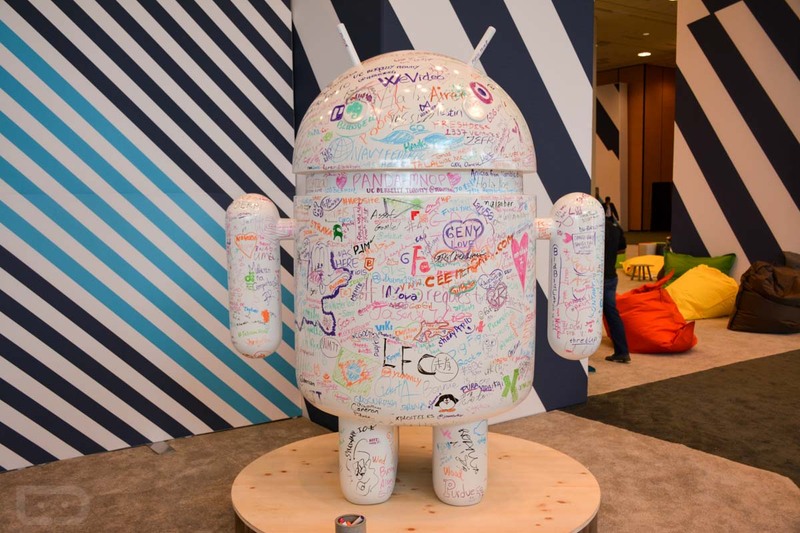 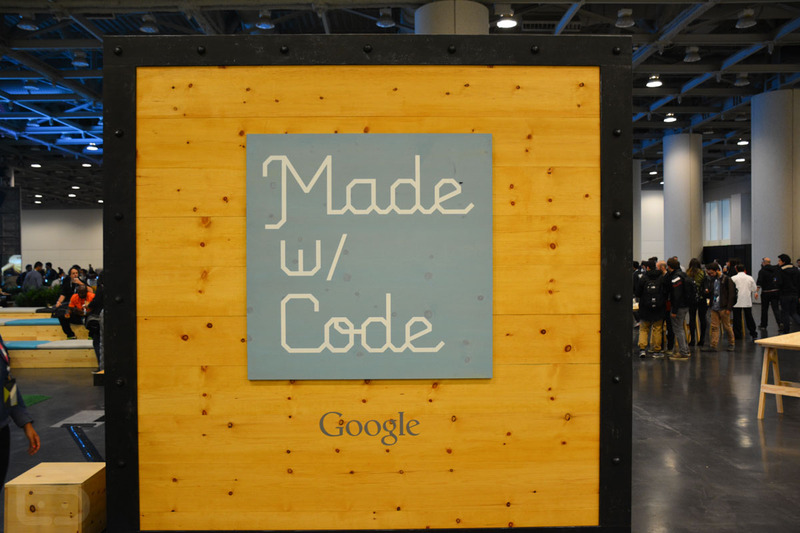 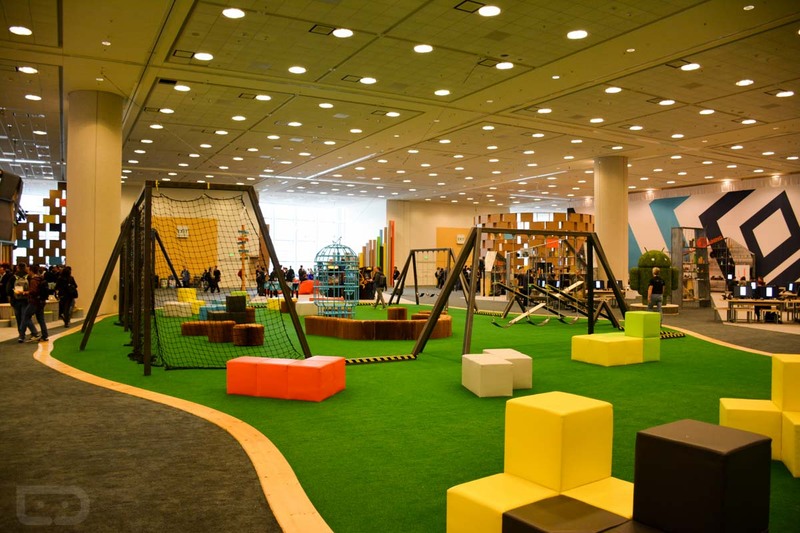 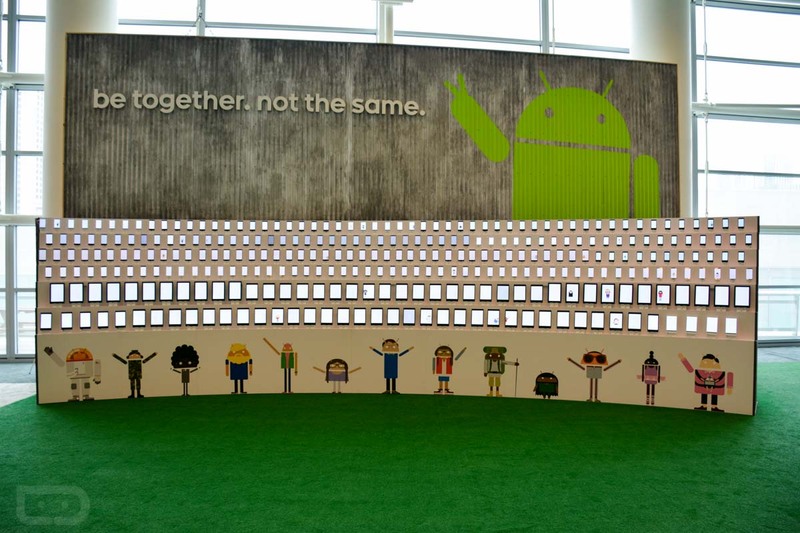 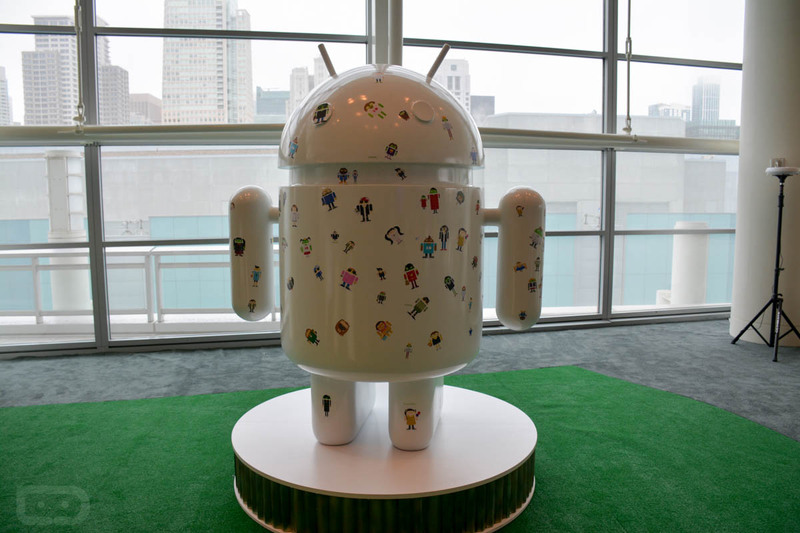 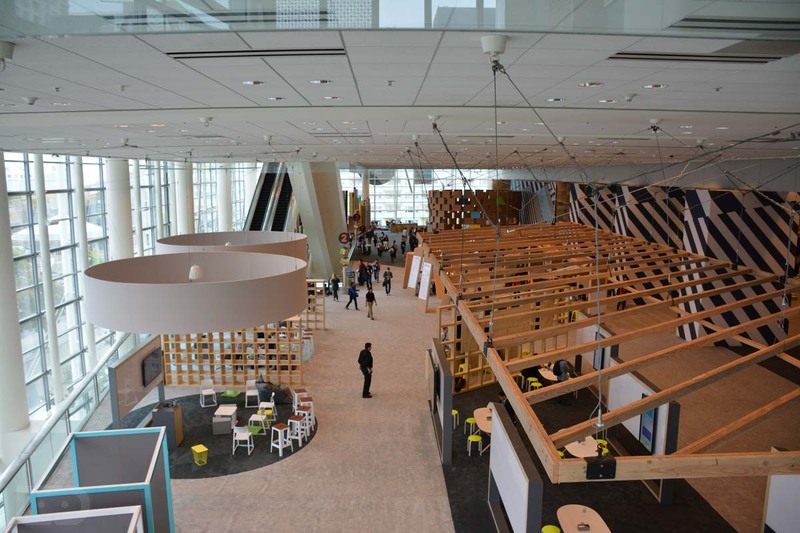 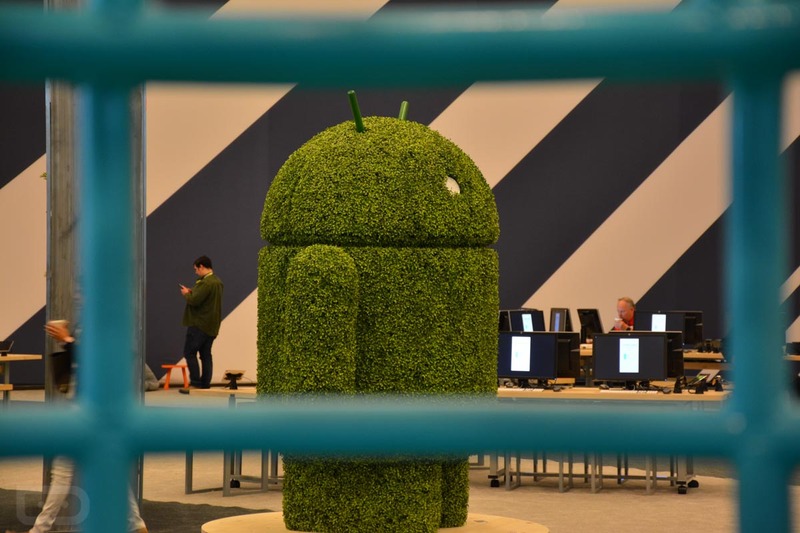 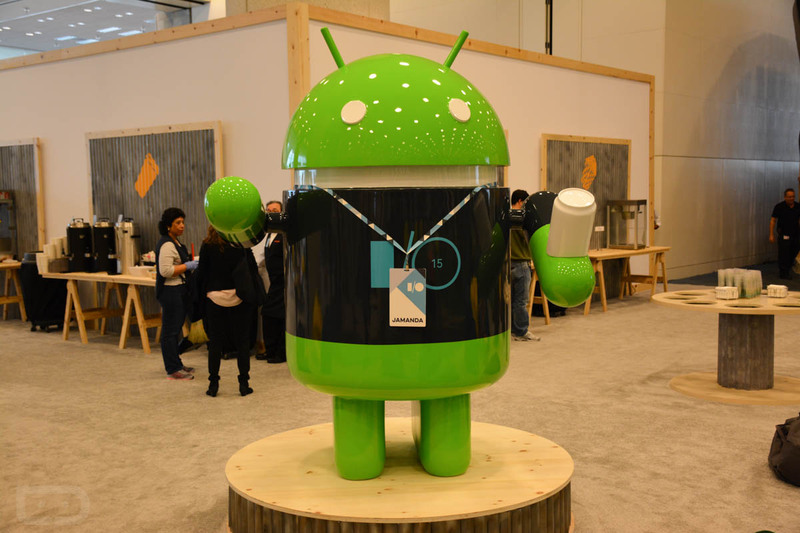 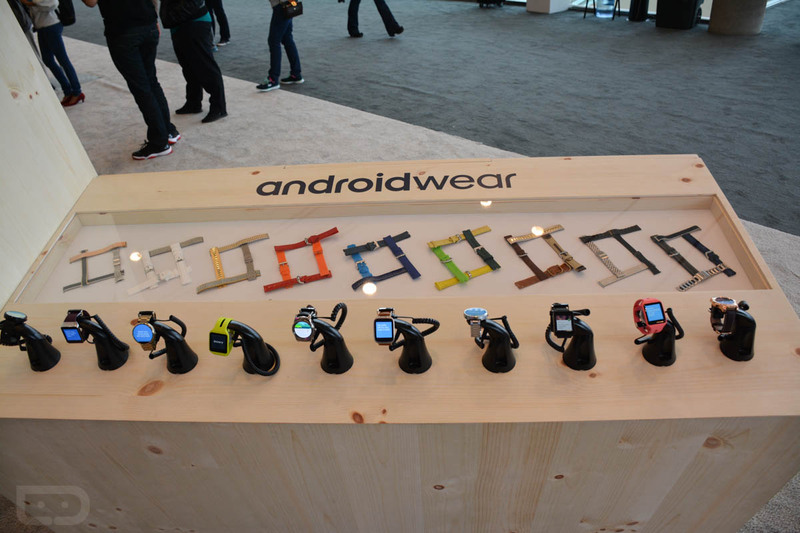 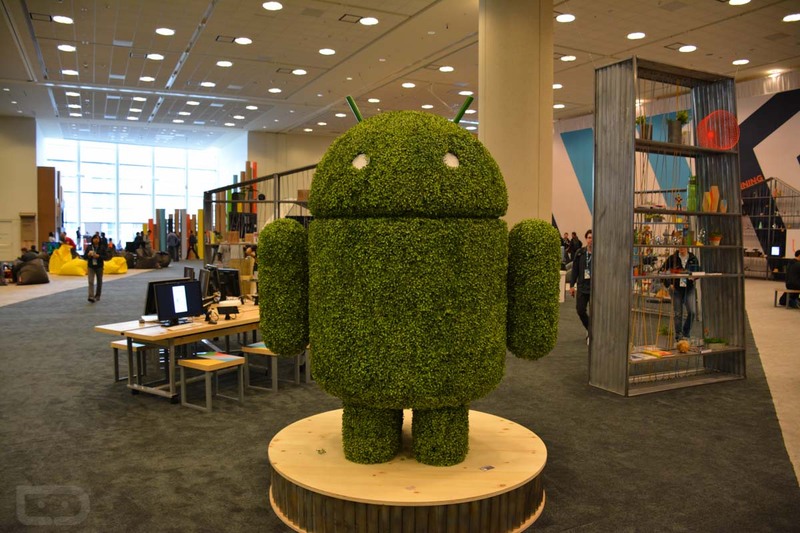 In the pictures below, you will see bugdroids of all shapes and sizes, what it looks like when a few dozen developers are taking in the latest from a Googler, the cars that Google rolls in for Android Auto, all of the projects from Google’s ATAP, and even a massive playground, filled with swings, teeter totters, and video games.